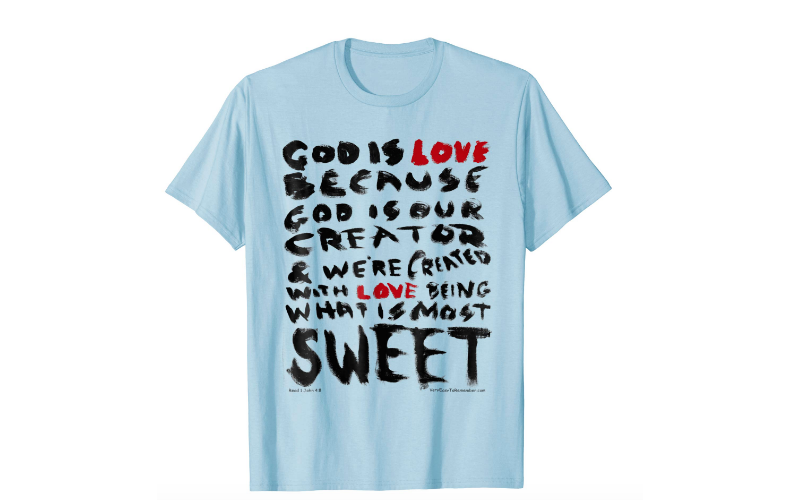 1 John 4:8 states that "God is love." The text on the below T-shirt explains why! 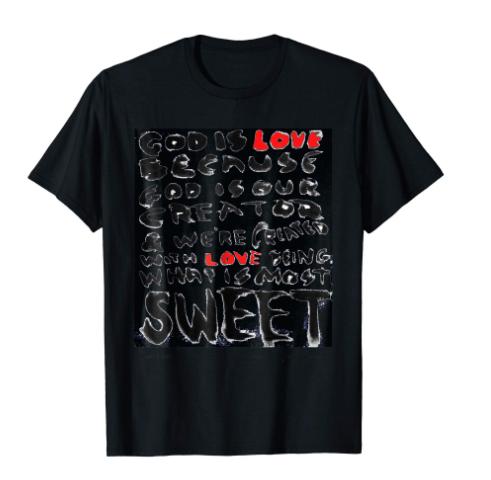 When you display this shirt's divinely-sweet message, it increases faith by knowing that God's Word is true! T-shirt is available in one of three styles. If you would like one of these designs, click one of the three T-shirts below to be taken to an external site.